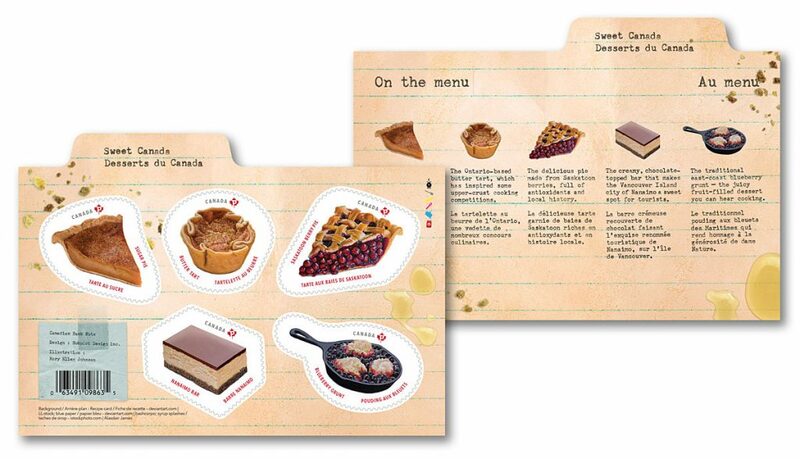 Canadian culinary history is featured in a booklet of PermanentTM domestic stamps dishing up the origins of five delicious Canadians desserts and takes you on a tasty trip from coast to coast. Discover Nanaimo bars, Saskatoon berry pie butter tarts, tarte au sucre (sugar pie) and blueberry grunt. The odd-shaped stamps are arranged on a fun recipe card background. The back of the booklet also features a recipe box motif. 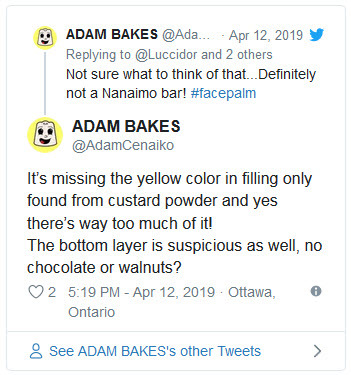 The rendering of one of these dessert, the Nanaimo Bar is generating controversy as critics question base-to-filling ratio. 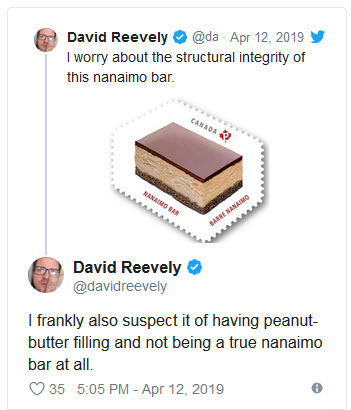 As evidence, Joyce Hardcastle provided Postmedia a picture of a fresh batch of Nanaimo bars that were chilling in her freezer, atop a tea towel sold in local shops, which also features her famous recipe. 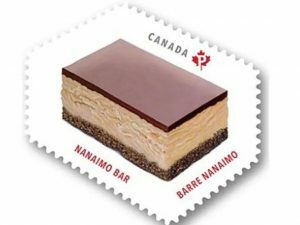 Yet, Canadians seem to be the most excited by the addition of the Nanaimo bar stamps. News of the stamp has even reached overseas, according to Twitter users. In 2006, the Nanaimo bar was declared Canada’s favourite confection by a reader’s poll in the National Post. 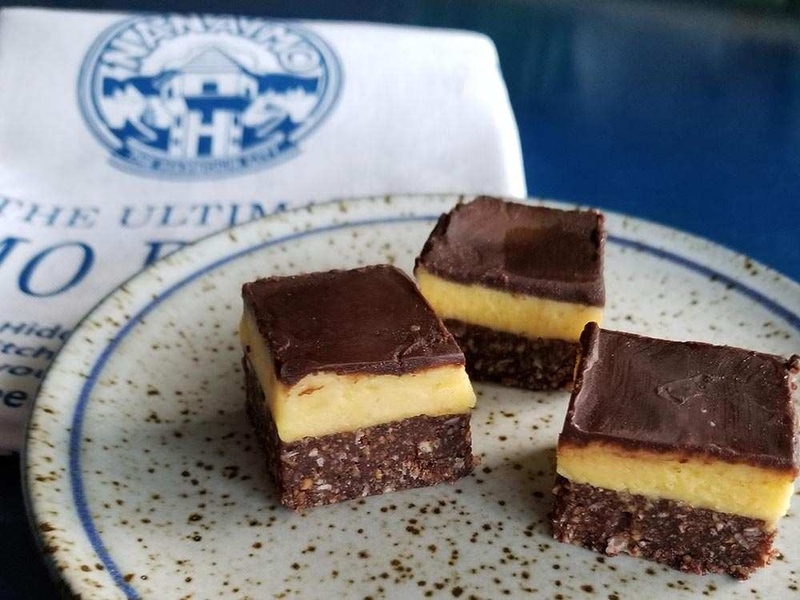 The dessert is so popular in its hometown that the city has developed a “Nanaimo Bar Trail” dedicated to the city’s best confectionary selection. 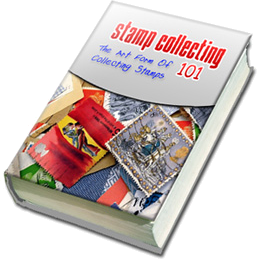 A great addition to odd shaped, sugar, food and candy/sweet topical stamp collections! PS: The April 2019 checklist updates have been completed and the dATAbase now has a total 735,445 items. 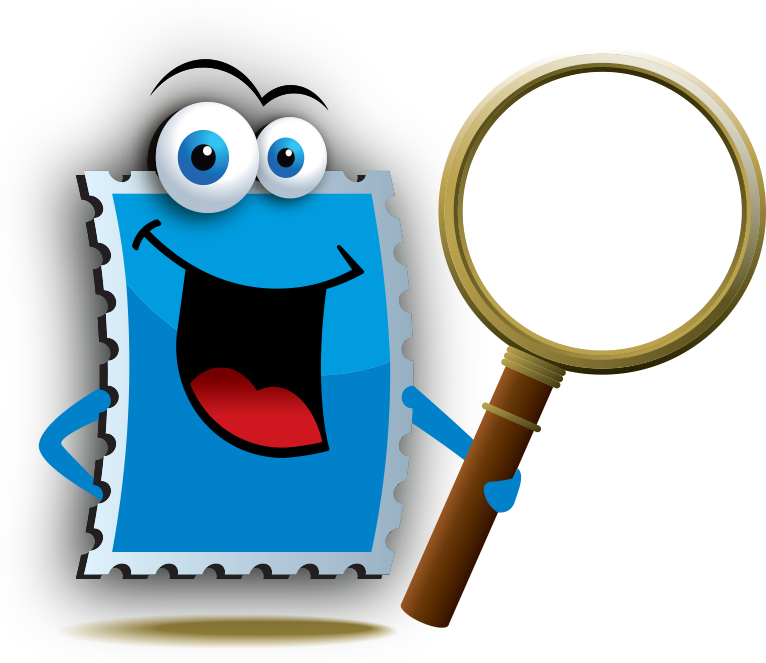 Topical stamps checklists are emailed or mailed to ATA members within 24 hours of order receipt. If you don’t find your topic listed, ATA can customize a checklist for you. Order by email, phone or postal mail. Visit the American Topical Association (ATA) for more information.